When autumn is around the corner, and the winter is knocking at the door, smart gardeners find great opportunity to prepare their yard and garden for the abrasive winter months. 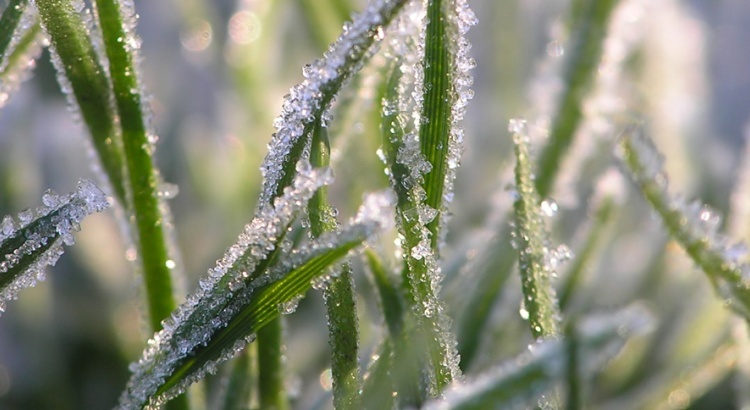 Here we share with some expert advice on Preparing your new lawn for winter’s arrival. It’s important to make sure that plants receive adequate moisture during fall, which will help reduce stress and possible death of plant tissue during the cold winter days. Reduce irrigation compared to summer. Irrigation and watering should be less (compared to summer), but more frequent in order to optimize moisture. It is very important to remove any perennial plants that died out and leaf drop-off, because their presence may smother your lawn during the winter. Remove all moss. Moss is usually found in the less sunny parts of your garden, by removing it, you’ll have a fresher looking garden when spring comes. Also, you should patrol your grass with fork, bucket, spade and hand weeder to get rid of grubs and weeds. Remember weeds can be the most resistant plants in any yard, by removing them prior to winter, you will be avoid having them overgrow during the cold winter days. Be vigilant during the whole fall period about grub and weed growth. Don’t forget to aerate your lawn by using an aerating tool (you may possibly rent one at your local hardware store, or you may improvise one). Aeration involves perforating the soil with small holes to allow air, water and nutrients to penetrate the grass roots. By doing this, you will get rid of the thatch and make way for post-winter beautiful lawn growth. It is also recommended to apply a top-dressing. The idea is to use a sandy soil mix, spread it around your lawn and then brush the top-dressing into the aeration holes with a broom. This will help your yard absorb nutrients prior to the winter months since nutrients tend dissipate and erode more easily with snow and winter weather. After applying top-dress soil, fertilize. For fertilization, a high-nitrogen fertilizer is recommended as it will provide high quality nourishment for your lawn and will be most resistant to cold climate. By aerating, top-dressing, and applying fertilizer, your plants will have the nutrients that they need during the winter. Smart gardeners are always taking stock of future weather patterns. These simple steps will help ensure you have a healthy lawn that’s ready to burst with color and healthy growth in the spring. “Preparing Your New Lawn for Winter ” was brought to you by Nieghbors Relocation Services.